Dr. Joyce Paul Siamak Enchants with her Dance of the Veils. Conceptual dance performance Yavanika presented in Kirkland Performance Center, Washington. Bharatanatyam dancers are well aware of the rise in neo-thematic choreographies by established artists, like Dr. Joyce Paul Siamak. Joyce hit this show out of the park with a philosophical theme, rendered in vivid images, showing through Yavanika that we all wear veils of perception which color our judgment. 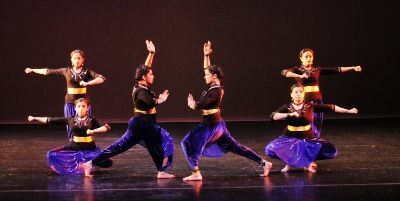 The show, held in the grand auditorium, Kirkland Performance Center, centered around two characters, One Girl, played by the delightful dancer/singer, Meera Krishna, and the Second Girl, played by Joyce, herself. These girls live in their own worlds, growing up, learning different skills, living as neighbors, yet so differently. They share in one commonality - the Maze of the Elements Of Life which pull and push them through experiences, both good and bad. Both find their way into relationships, (Joyce's beautiful inclusion of expert tango dancers who represent romance in life was perfect), and each find success and failure, responding to the Elements Of Life by either riding the waves of determination, or accepting fate as it comes. All until such time that the Elements Of Life pull, push, roll and throw Meera's character around, beating her until the audience sees her, fainted, lying on the stage, nearly lifeless. Joyce's character comes upon her and has to decide whether to respond or walk away, deciding finally to help the girl and revive her. Slowly, she picks her up, holds her, helps her walk and get her bearings again. Meera's role was veiled throughout the program thus far, but now Joyce asks her about the veil. Suddenly realizing she has one, the girl pulls off her veil, and in a deep introspective, self-realization mode, starts singing live on stage as she arises. She sees life with such a completely different perspectiive, in all its colorful possibilities. When she finally decides to go back to being veiled, the second girl is upset, indicating that she had done so much to revive her and show her what all she could do with her life. At this point, Meera gently points out the fact that Joyce too has had a veil in front of her eyes the entire time, tinting the way she saw Meera. Joyce is challenged by the Elements of Life with the veil removed, now struggling against their overwhelming power. She struggles between the familiarity of her whole life as seen through the veil and the unfamiliarity of the new perspective. Joyce's character finally concludes that yes, we all live with our perceptions colored by the lenses we see people and their situations through. While philosophical and exceedingly emotionally portrayed in a sensitive, imaginative way, Joyce's choreography was explosive and stunning, particularly with the Elements of Life dancers. There were eight artists, all who auditioned for, and won roles to dance for this work, and though they came from different styles, the hard work they put in was obvious in the synchronicity and symmetry in their movements and poses. 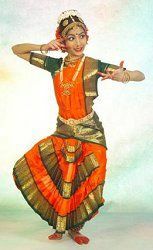 When Joyce was asked by an audience member during the Q & A session following the sold-out performance, whether the dance style really was Bharatanatyam, Joyce replied that she choreographed following the grammar of Nritta as written in the Natya Shastra, however, she used those elements to create new adavus, knitting together familiar postures and movements in new and creative ways. And it was brilliant to behold them - all dressed in Blue and metallic atypical dance costumes and blue makeup, each stretch, jump, and pose, punctuated with complex footwork, brought the maze of life to life, literally. As the maze pushed and pulled and threw Meera's character, the rasika could feel the forcefulness and physical effort combined with such explosive emotions as Meera goes from shock and fear, tossed and hurled until she is exhausted and acquiesces to her fate, finally laying broken and crying on the ground. Joyce must be lauded, not only for her sensitive portrayal of her role, but also for the physicality she brought to her performance, despite her real-life battle with painful and debilitating autoimmune disease. One could not tell at all that she struggled as her character danced and explored the whole palette of emotions that a human feels during their life, including how she was able to bounce back from whatever the Elements of Life threw at her. The unveiling of Joyce's character was spellbinding, with pin-drop silence in the audience, followed by a hushed awe as the realization dawns upon her that she had been judgmental having looked at the situation through her own veil, with exceptionally rendered abhinaya. Joyce's vision for this impactful dance drama grew from her dream to do it years ago, she said. She finally gathered her resources and her dance team to make the dream real. And in doing so unleashed truly innovative choreography and storytelling in a way that left every viewer thinking about their own perceptions. Days after the event, among Seattleites, was discussion about their veils and perceptions, lingering on Facebook statuses and in conversations. It takes a truly committed artist to engineer such a performance that leaves an audience talking about it months later. Nov. 9. 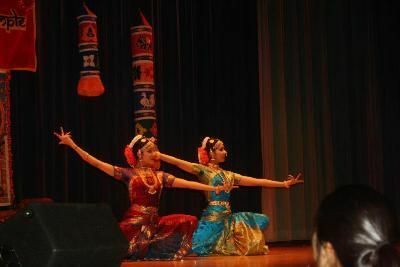 2013 - Arangetram Dance Debut of Suhana Posani at Sterling Heights High School in Michigan. 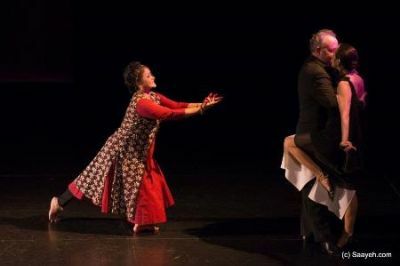 Read Diya's review of Dr.Joyce Paul Siamak's new choreography on the Bharathanatyam and the World Wide Web site. Advanced post-graduates from Hindu Temple Rhythms perform Gopal's haunting composition, Tat Dit Tom Nam, highlighting the Bharata Natyam margam, at this past Tandav 2013. Music by VOX. This year was a brilliant year for Hindu Temple Rhythms, beginning with Tandav 2012, where my nephew Vishwa walked across the stage casually while playing Angry Birds on my phone as lovely girls were performing behind him... to my little Akshaya Rajkumar's arangetram...culminating with Mom's 90th arangetram and Anjali's show in Florida with her HTR students there. This year was also the most difficult one in my life. Mom had to finally explain to people on stage, that I am ill. My autoimmune disease has really challenged me and my team of doctors. I was on medical leave from work for six months, and I struggled (and continue to struggle) to walk, sit for long periods of time, and even sleep with an insane amount of pain. I am thankful to all of you for getting me through this year, and as always, I hope I will get to dance again... hopefully next year. 2011 was an active year with more arangetrams in Detroit and Chennai. Full details are available at www.hindutemplerhythms.com. It was a slow year for me, Vidya, because my struggle with lupus and fibromyalgia has reached a new crescendo. Travel, work and simple daily tasks were pretty difficult for most of the year. By the end of 2011, I took a long break from everything and headed to Boston to visit Anandini. 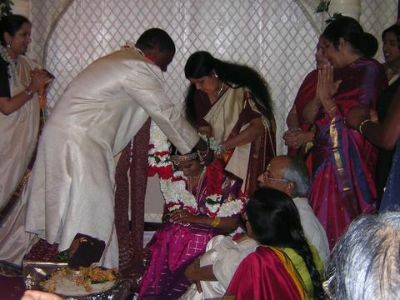 The greatest news of 2011 is the birth of our little dance princess Tarini Vasudha Srinivasan. Anandini and Ohm's second child was born at 5:58 pm EST and was 6 lbs, 2 oz. A tiny baby, she was with me a lot these past couple of weeks, and she is showing great affinity for music, dance and TV. Yay, Tarini and yay, Vishwa, who is being an affectionate, caring older brother, for a 3.5 year old. 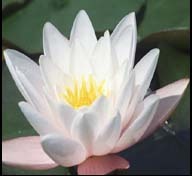 Our whole family is thrilled with this blessing and we hope you are too, as we prepare for 2012's events calendar. An exclusive opportunity to learn with Vidya is coming up in March. The Evolutionary Abhinaya workshop will help dance practitioners and budding artists learn the latest brain research and psychology findings on emotions and connect these to the way they approach the ancient art of emotional expression. Vidya's Abhinaya research which began over 30 years ago under Bharata Vidhwan T.K. Mahalingam Pillai has continued with her foray into understanding ancient global mythology, spirituality, art, physics and psychology and bringing depth of emotion into Abhinaya as a yogic practice to remove one's ego and access the soul. Learn more about Evolutionary Abhinaya in the workshop, to be held at Seneca in Detroit, 10 am - 1 pm March 21st. Start the spring off with a heart full of authentic soul-searching Bharata Natyam technique. For more information, contact vidya@srividya.us. 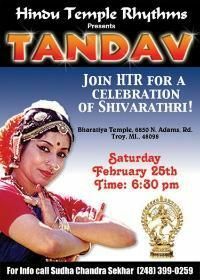 Dance guru Sudha Chandra Sekhar is being awarded the title of 'Nritya Seva Mani,' for her ongoing dedication to the dance art, at this year's Cleveland Thyagaraja Aradhana on April 3rd. To attend the felicitation and for additional details, check out: www.aradhna.org. This year's arangetram season includes: Proma Khosla, Ananya Reddy, Shreekari Tadepalli, Sneha Maripudi and Akshaya Rajkumar. Best wishes and a long dance career to each of you!! For more information on these events, contact: vidyanjali@hotmail.com. 6/20/2009 Arangetram of Anjali and Ashima Saripally, presented by HTR in Ann Arbor, MI. Details will be published here soon. 6/27/2009 HTR presents Sonali Reddy's arangetram in Ann Arbor, MI at 3 pm. 7/25/2009 Nidhi Sripada debuts as a dancer in her arangetram under the banner of HTR. Stay tuned for details. 8/15/2009 The premier performance of Haritha Vadari is presented by HTR. Details TBD. 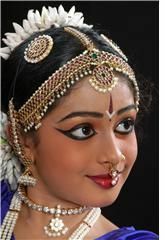 8/22/2009 Anjana Kumar presents her first full-length dance recital under HTR. Location and time to be announced. 5/13/2006 Vidya sings as part of Ragamalika for Tamil Sangam in Cincinnati, OH. 02/25/2006 Tandav 2006 was a grand success with 108 performing students, highlighted by Anjali, Anandini and Aparna Srinivasan, Krithika Rajkumar, and future grads Mallika Sarma and Tiasha Nandi. Last year's scholarship winner, Riaa Dutta also performed. This year's winner, Shana Altus, gives HTR the luxury of celebrating the first American from the Jewish community to receive the advanced studies funding in Bharata Natyam. Kudos to Shana for a wonderful essay and consistent efforts in learning and growing. 01/14/2006 Anjali performs Nrityaradhana for Pongal with touching and emotionally uplifting renditions of Andaal's Thiruppaavai. 9/16/2005 - Anandini weds Ohm. And dances with him too. 12/18/2004 -- General Motors presents UNIVERSAL RHYTHMS, a tradition-fusion starring Hindu Temple Rhythms dancers featuring the live music of the jazzy Glotown & the classical VOX. Check it out at Oakland U's Varner Hall, 7 pm, Saturday. Tickets - $10. 12/17/2004 -- Gopal from VOX pitches Carnatic originals to Syntel's Anirrudh Phatak, responding in Hindustani structure! Great upconing jugalbandhi at Bharatiya Temple's Friday Aradhna program this week. 8/14/2004 -- Preeti Gudimella gave a gorgeous debut performance in this the 51st arangetram of HTR. Congratulations and good luck in your academic and artistic future!!!! 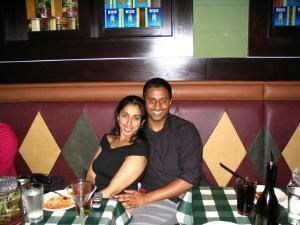 7/25/2004 - Anjali J. Sekhar (HTR perfomer, Vidya's sister and Detroit News reporter) wedded Marlon Fluker in a blissful multicultural ceremony, featuring Rev. Butts and Janaki Ram Sastry, followed by a major dance party. Ganga joined the boy's side as seen in the related photo (below) to validate Marlon's three knots! Keyword for those who attended: "Dhool!" 7/10/2004 Varnangal -- a lovely event in aid of the Keralite St. Thomas Catholic Mission, featured dances by HTR team members, including Krithika, with a live orchestra from VOX. Also, Vidya and Gopal performed some Carnatic treats. A great show all in all. 6/11/2004 and 6/12/2004 -- Jai Shree Hanuman! Beautiful programs for two days featuring live music by VOX and brilliant performances by HTR, including Sudha Chandra Sekhar herself. At 63, she doesn't look a minute older than 40, and dances with the same dynamism and devotion as she did decades much earlier. A beautiful new Charukesi Thillana composed by Gopal on Hanuman, was also featured. 6/11/2004 -- 7 pm -- Flint, MI Sundarakandam show by Sudha Chandra Sekhar with live music from VOX. www.paschimakasi.org. 6/12/2004 -- 12pm -- Flint, MI Sundarakandam show by Sudha Chandra Sekhar with live orchestra from VOX. 7/10/2004 -- 5 pm -- Southfield, MI Varnangal -- a fundraiser for the St. Thomas Catholic Mission at the Millenium Theatre. Live HTR performances and Classical Music from VOX. 8/14/2004 -- 3 pm -- West Bloomfield, MI 51st arangetram of HTR. Comgratulation to Student Preeti Gudimella who brilliantly premiered with a full solo recital accompanied by VOX live. 9/7/2004 -- CONGRATULATIONS, MOM!!!! My mother is receiving the Lifetime Achievement Award for Dance Education -- at the National and State Levels. We are so proud of her efforts and will have more news on the award event coming soon.